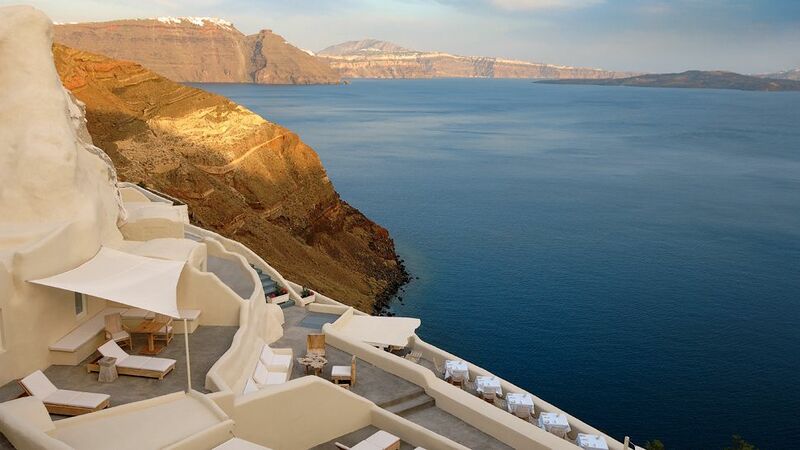 Today (March 3, 2014): Top 10 world’ s most spectacular cliff-side hotels. One of the most spectacular locations that a hotel can have, is a cliff-side position, offering its guests breathtaking views over the surrounding landscape. I hereby present you the top 10 hotels & resorts that were built on the world’s most amazing cliff-side sites. There is more info below the slide show. Think I missed one? Share your favorite cliff-side hotel in the comments section, or take my poll below! 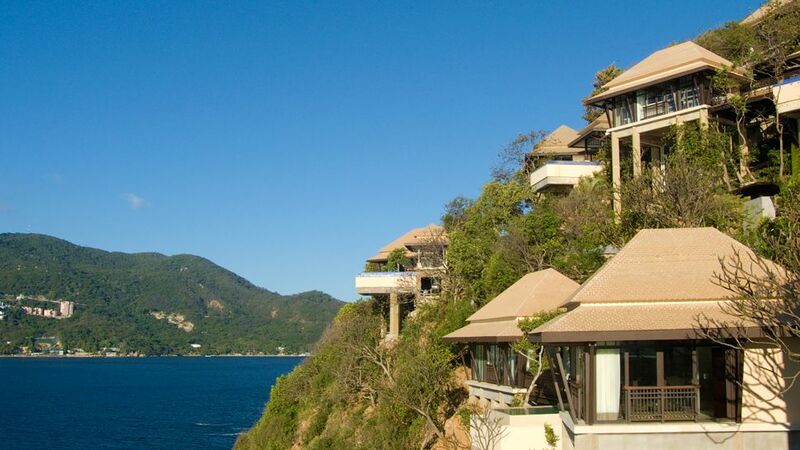 Capella Ixtapa, located on the Mexican Pacific Coast, is one of the serious contenders to the title of the world’s most spectacular cliff-slide hotel, as the resort is literally attached to majestic cliffs above a powder-white beach and crashing waves. The 59 suites of the hotel are a wonderful intermingling of modern and traditional Mexican touches, and all come with a private infinity edge pool and terrace that opens up to the breathtaking views of the Pacific Oceans. Tip: enjoy free VIP amenities when booking via Virtuoso (e.g. room upgrade, daily breakfast for 2, early check-in, late check-out, and $100 USD resort credit). While there is no shortage of cliff-side resorts along Europe’s most spectacular coastline at Amalfi, few offer the breathtaking views of the Mediterranean Sea from the terrace and infinity pool of 11th-century palace-turned-resort Belmond Hotel Caruso, seemingly suspended between sky and sea. No less impressive are the hotel’s terraced gardens and grounds, which feature native olive, lemon and pomegranate rows, as well as an original chapel with a Baroque altar, frescoes and a former priests’ quarter. Other accolades: Belmond Hotel Caruso also features in my top 10 list of the most beautiful hotel pools in the world. 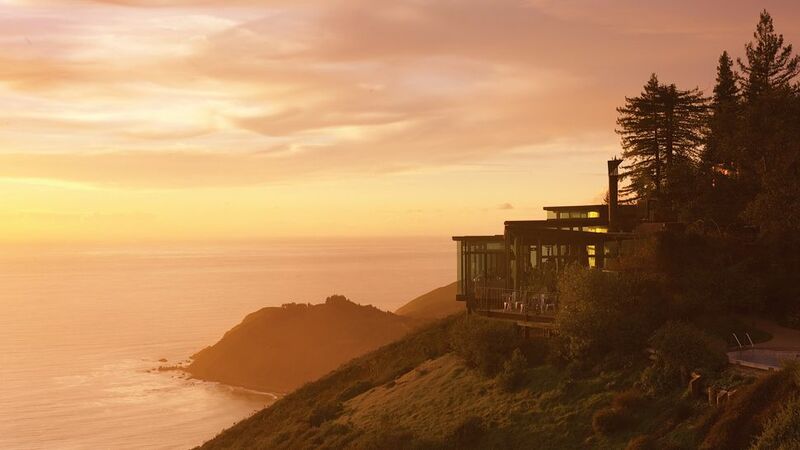 High atop the cliffs of Big Sur, 400 meters (1200 feet) above the Pacific Ocean, sits Post Ranch Inn, a sanctuary for the soul and one of the USA’s most prestigious hotel. The property is located on the Californian Highway between San Francisco and Los Angeles, one of the most scenic roads in the world. With natural architecture embracing the coast’s dramatic beauty, the 39 rooms blend rustic elegance, comfort and privacy with panoramic ocean or mountain views. Other accolades: The Post Ranch Inn also features in my top 10 lists of restaurants with views that match the food and the best luxury hotels of the USA. Review: read here my review of the Post Ranch Inn. The resort, at the time the second hotel opening by the prestigious Bulgari group, is located on top of 150-meter (450 feet) high, breathtakingly beautiful cliffs cascading down towards the Indian Ocean. The pristine, white sand beach between the cliff and the water’s edge features a private beach club and is only accessible via the resort’s inclined elevator. The 59 freestanding villas feature a synthesis of Italian design and traditional Balinese style, and all include an open-air pavilion and private plunge pool. 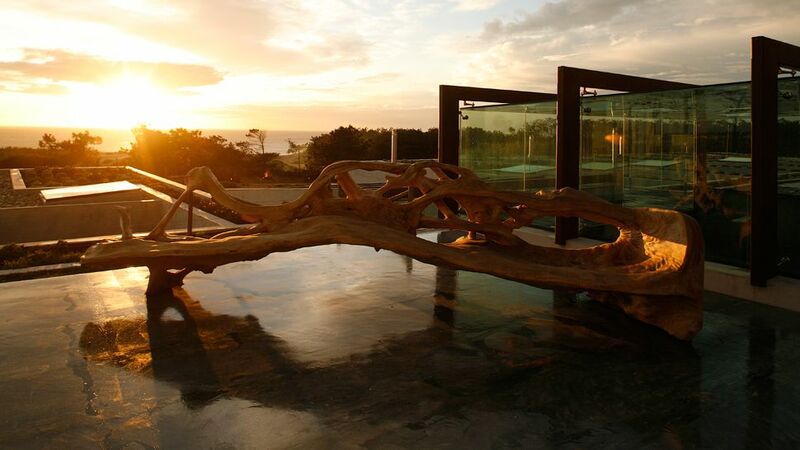 Other accolades: Bulgari Resort Bali also features in my top 10 list of the best luxury hotels in Bali. Review: read here my review of the Bulgari Resort Bali. Located on Oia’s most famous cliffs with dazzling views of clear blue crystalline waters towards the volcano and the Aegean Sea, Mystique (part of Starwood’s Luxury Collection) merges the natural beauty of Santorini with the quintessence of luxury. The 22 suites and villas, carved in the rocks, provide a sensorial experience of Santorini in surroundings of understated elegance. Cobblestone pathways lead to the small albeit pleasant plunge pool with magnificent view of the caldera. Review: read here my review of Mystique. 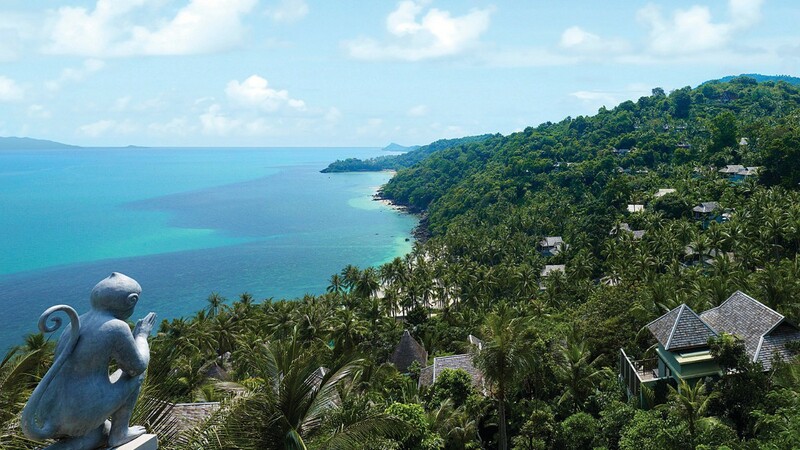 Set on a tropical, palm tree covered cliff, the Four Seasons Koh Samui perfectly blends in with its spectacular natural environment. Your arrival will be marked with the sounding of a traditional gong, while the massive doors of the resort open to reveal a breathtaking view of the mystical Gulf of Siam. The cliffside villas are shaded by coconut groves and all have private pools to soak in the (sometimes party obstructed) tropical vistas, overlooking the talcum-white sands of the private bay. Other accolades: The Four Seasons Koh Samui also features in my top 10 lists of the world’s best spa and health retreats and the best luxury hotels in Thailand. Tip: enjoy free VIP amenities when booking via Virtuoso (e.g. room upgrade, daily breakfast for 2, early check-in, late check-out, and $100 USD spa credit). Review: read here my review of the Four Seasons Koh Samui. Technically speaking, this hotel is not located on a cliff as you need a 10 minute walk from the hotel through its garden and dunes to find yourself at the top of some towering cliffs, with a gorgeous beach and the crashing waves of the Atlantic Ocean below. This is Europe’s most original luxury hotel and the apotheosis of eco chic. The 14 uniquely designed guest rooms & suites come with amazing bathrooms and fuse Moroccan and Asian design elements with modern minimalism to create fabulous colour schemes. Other accolades: Areias Do Seixo also features in my top 10 list of the most spectacular hotel bathrooms in the world. Review: read here my review of Areias Do Seixo. Asia meets Mexico at Banyan Tree Cabo Marques, which is built on high stilts over dramatic cliffs offering spectacular views and breathtaking sunsets amidst signature Banyan Tree comforts. All pagoda-topped villa have glass walls and heated infinity pools, overlooking the secluded sapphire bay. Room service is impeccable and with all the room facilities provided, it will be hard to leave your palatial sanctuary. The resort is also famous for its intimate spa and fine-dining restaurants with fabulous Acapulco views. Tip: enjoy free VIP amenities when booking via Virtuoso (e.g. room upgrade, daily breakfast for 2, early check-in, late check-out, $100 USD food and beverage credit, and a one-way private airport transfer). This lodge is located right on the rim of the ancient volcanic Ngorongoro caldera, offering not only some of the best views in Africa, but also the possibility of a classic Big Five safari as the crater floor is teaming with wildlife. Room interiors are reminiscent of an elegant baroque château (brocade sofas, gilt mirrors, beaded chandeliers and paneled walls) and the famous African landscape can be enjoyed with just one glance out of your window. 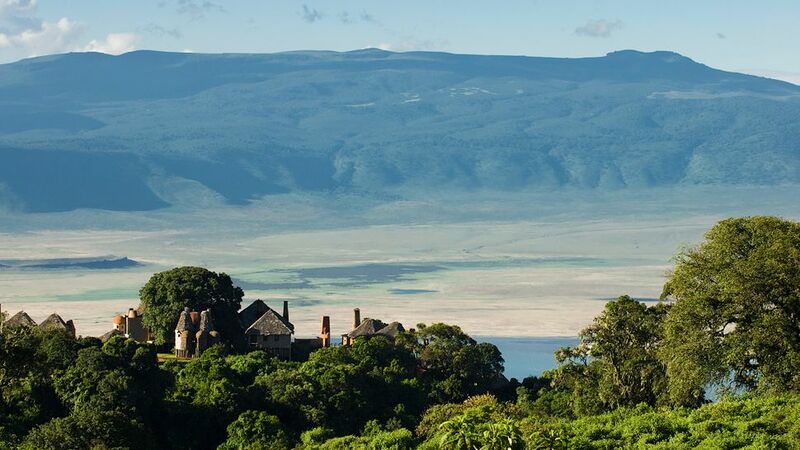 Other accolades: &Beyond Ngorongoro Crater Lodge also features in my top 10 list of Africa’s most luxurious safari lodges. Ladera is a classy, small-scale hotel ranged along a 335 meters (1000ft) high ridge, with breathtaking views of St Lucia’s famous twin peaks, the Pitons (World Heritage site), the forested slopes of the south-west of the island and the Caribbean Sea. The 37 suites are constructed of tropical hardwoods, stone and tile, and all have a private (heated or non-heated) plunge pool and open wall, allowing fresh breezes from the forested hilltops and spectacular panoramic views. Other accolades: Ladera also features in my top 10 list of restaurants with views that match the food. Review: read here my review of Ladera.